Lofty goal, huh? I did it last year, and I dare say my girls had the best summer ever. I hope to accomplish the same thing this summer. You can do it, too! With my ideas for a busy summer, your kids will be so tired at night, they may actually sleep late. Every mom’s dream, right? The key to a busy summer is to plan ahead: nothing says “boring day” more than an unplanned day. I’m not totally against spontaneity, but in my household, unplanned days usually end up as a flop, and flop days equal bored kids. Start planning now. Organized Fun…There are a bunch of ways to fill up your summer fun calendar. 1. 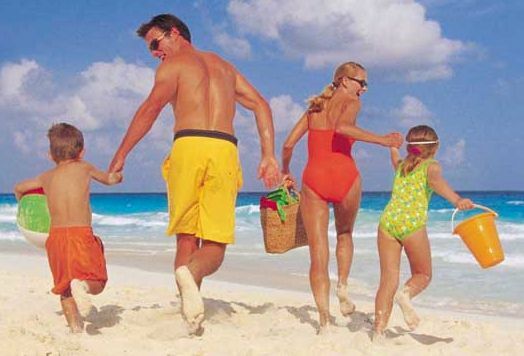 Taking any family vacations? Work those details out and get those on the calendar. We rent a house in Marshfield every summer. This is the most fun week for us and our entire summer revolves around this time. We’re also hoping to do a long weekend in New Hampshire to visit Storyland in July. 2. Consider summer camps and clinics next as those fill up fast. This summer, my #1 and #2 girls are doing several sports camps: basketball, soccer and cheerleading. #3 is too little for camp, but next year, she’ll get to do something too. 3. Does your town have a pool membership program? How about a summer recreation program? 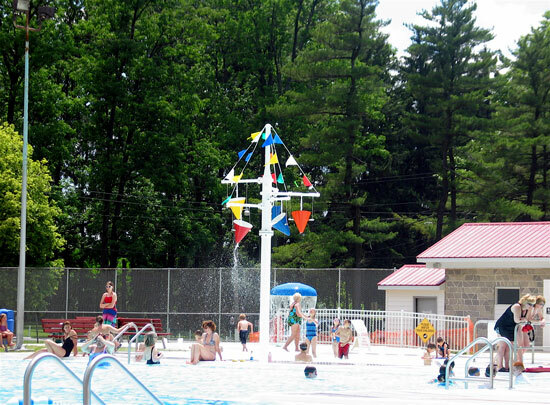 For the past 2 years, we bought a family membership to the Island Grove Pool in Abington. This year, we have decided to stay in Whitman and take advantage of the pool membership. My #2 daughter also wants to go to our town’s summer Park Program for a few weeks. Day trips…Now that your calendar is booked with week long or multi-day events, it’s time to think about day trips and excursions. 1. Remember that pool membership I mentioned above? Be sure to take full advantage of it. Nothing spells exhaustion better than a day of swimming! Because our town pool has open swim beginning at 3pm each day, I plan to bring the kids there after a day of fun, as a way to cool off and wind down before bed. 2. Beach, beach, beach! We are so lucky to live in this area with a bunch of beaches within driving distance. My plan for beach trips this summer is to leave immediately after lunch to avoid having to pack so much food. We will go to the beach at least 2 times during the week and once on every weekend. We are very much a beach family. We will fill the rest of the calendar with day long trips to the zoo, local playgrounds and even a water park or 2. Well, that’s my summer plan! Are you exhausted yet? Good, because that is the goal. In all seriousness, while I love tired kids, I also love keeping them entertained, stimulated and active. Some of my best childhood memories are from summers at the beach and on vacation with my parents and sister. I hope my children can say the same thing. Today’s post is the first of a two part series with information on summer fun. Stay tuned for detailed information on local town recreation programs, pool membership options and more from Jessica DiRamio. Great tips – especially the exhaust them goal! I actually just drafted a post last night on the wading pool to publish here later in the season when the pool opens.